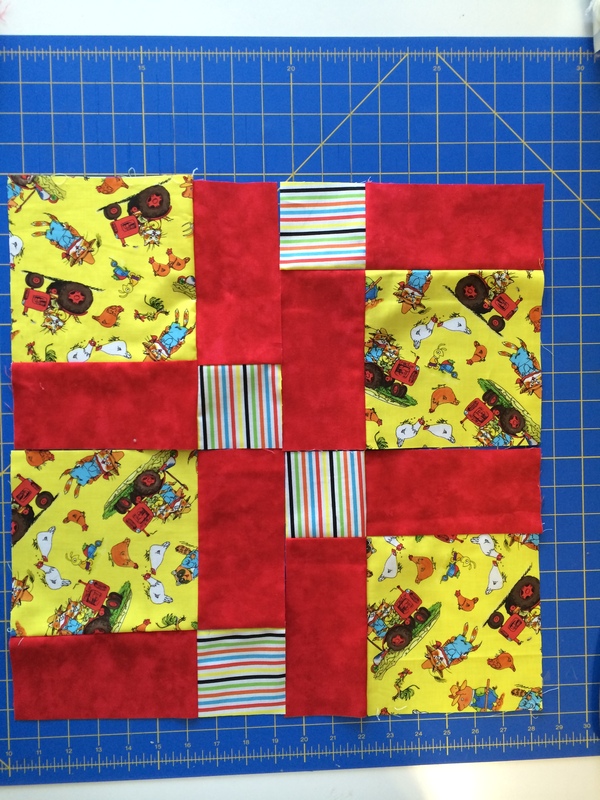 Looking back it has been quite awhile since I posted about quilting. I am still loving it, but find I go in spurts. 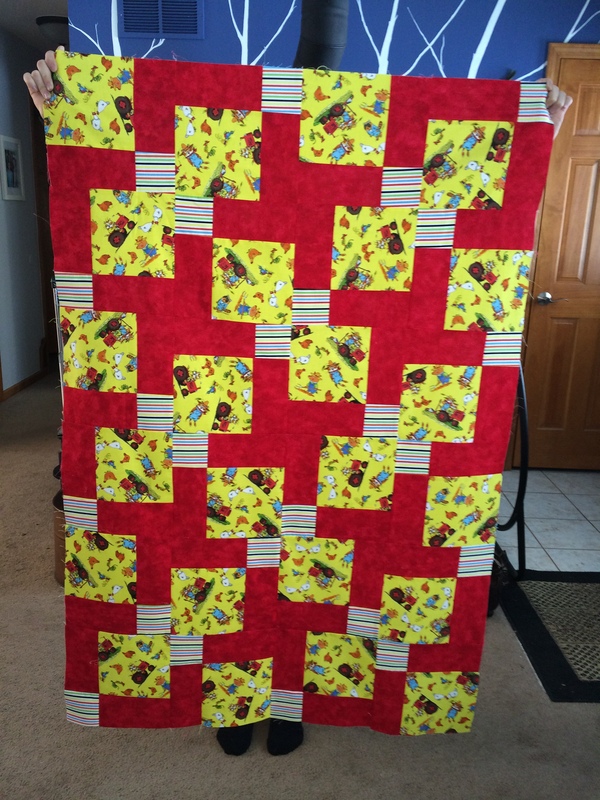 I finally finished Kid 1 Graduation quilt. I used a wool batting. It drapes so nicely and will hopefully keep her warm at college. 🙂 I did wash and dry it until just barely damp. I was a little worried about doing that with wool, but it seems to be fine. 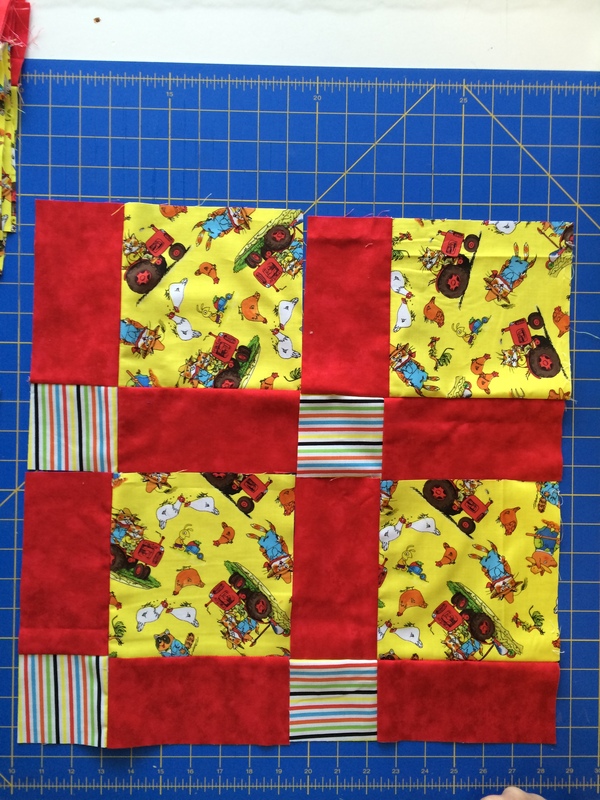 Split 9 Patch quilts are really easy. I have several people ask how I made it. 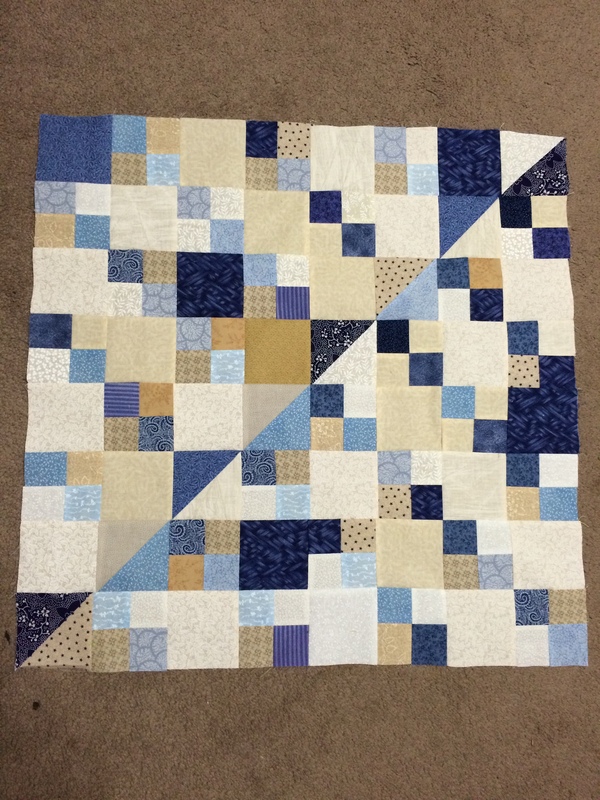 I used large 6.5 in blocks, but any size can be used. I like using a focus print and then 2 other coordinating fabric. Step 1 Make a 9 patch. 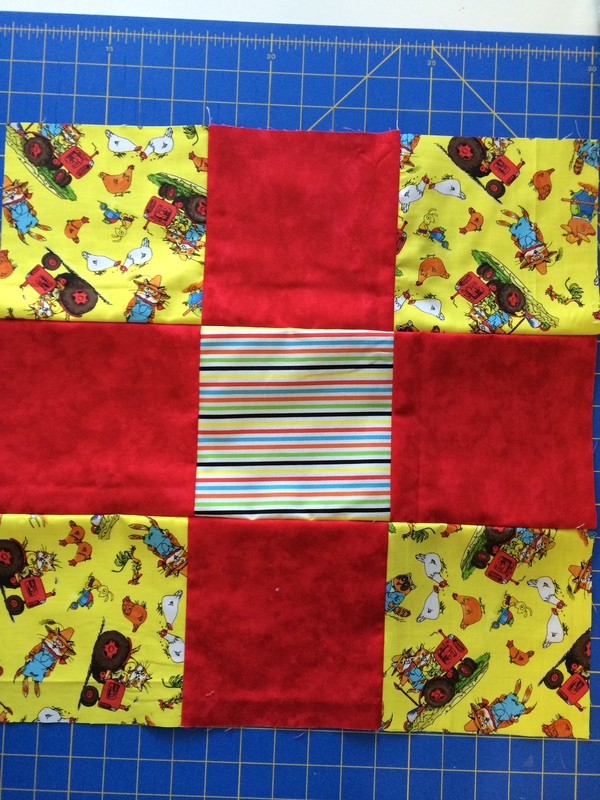 After you make your 9 patch, you cut it in half horizontally and vertically. 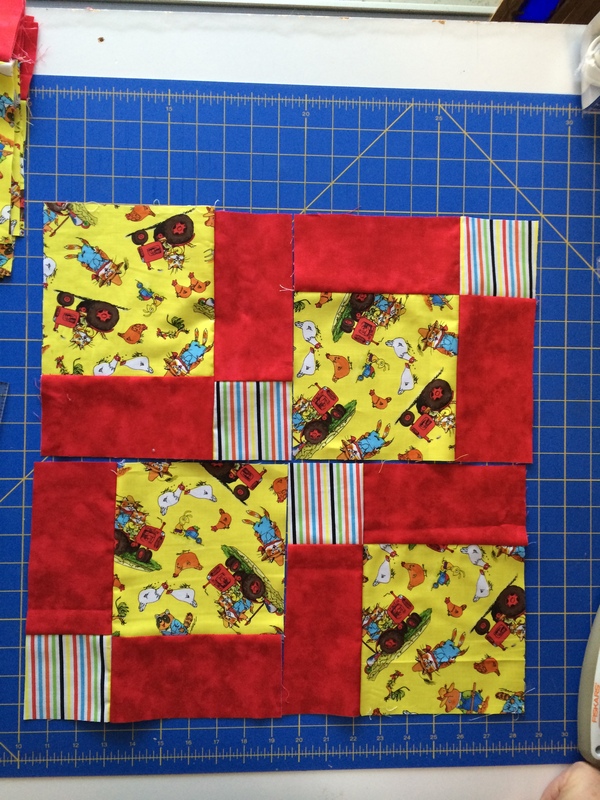 Then by rotating the individual blocks you can get new patterns. 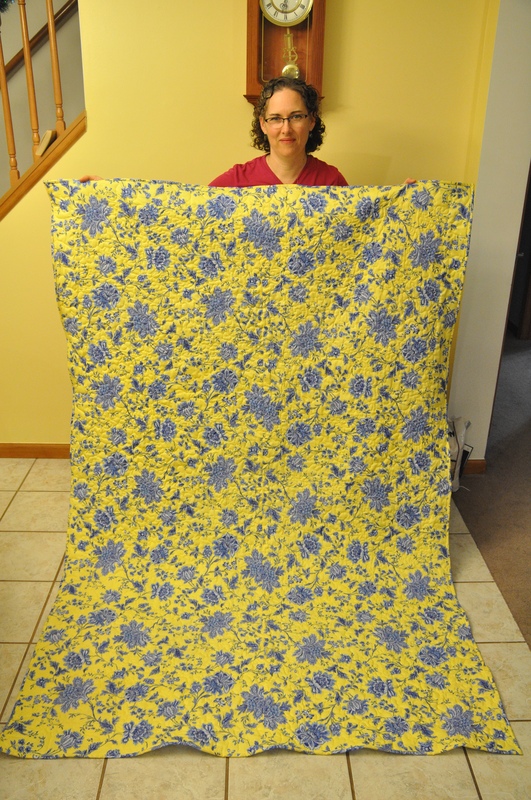 I am also enamored with scrap quilts. 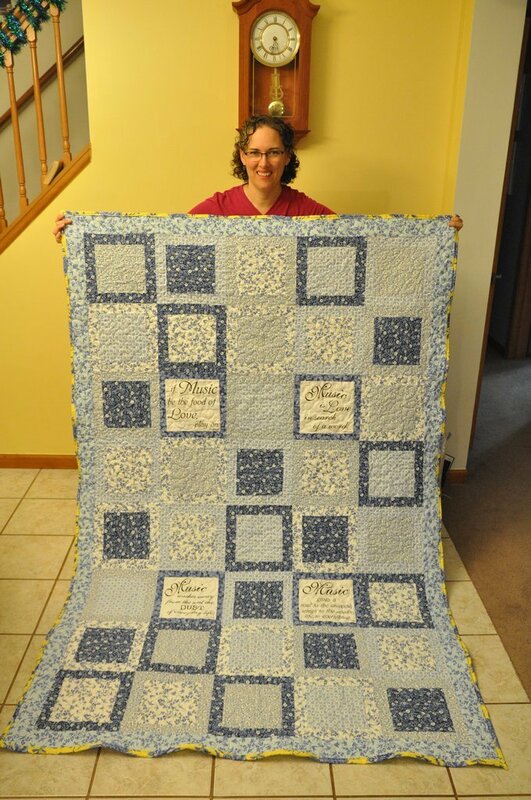 I was lucky enough to have 2 ladies from my quilt guild pass along their scraps to me. 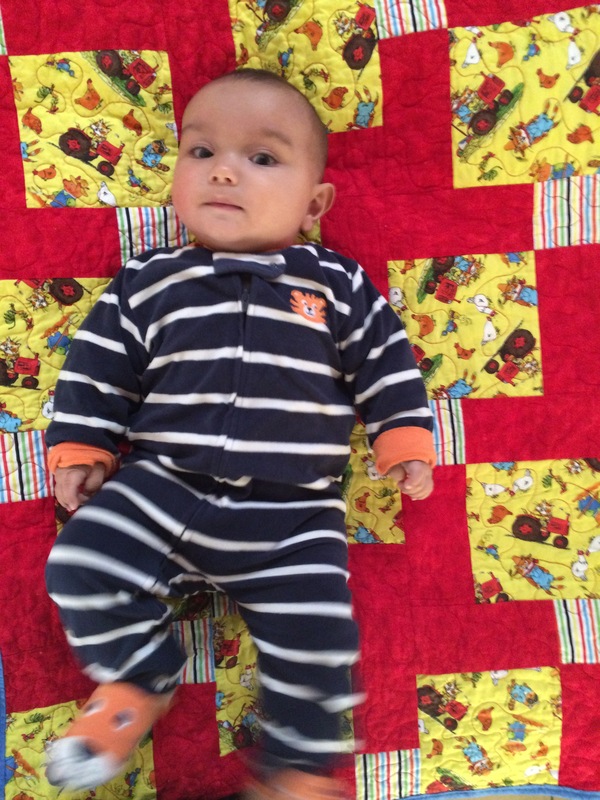 I have decided to make a baby quilt. Here is the first part. 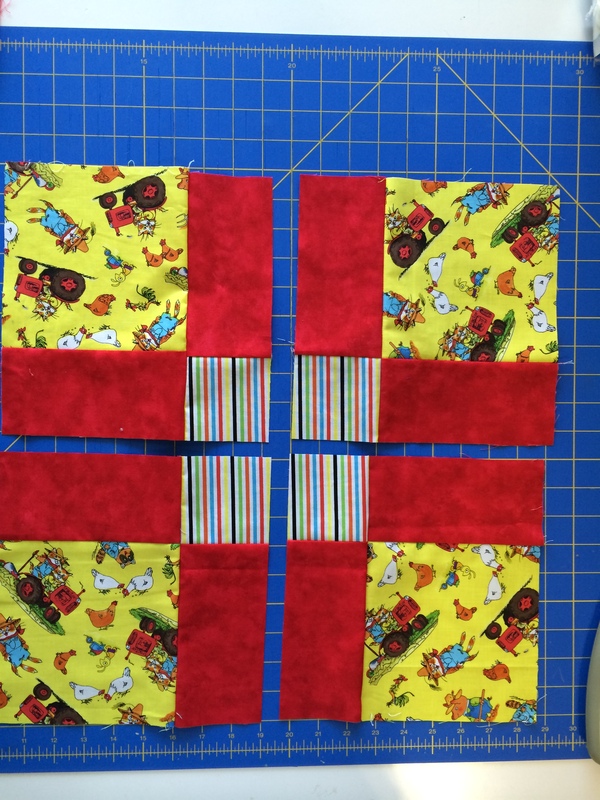 All of these little 4 patches and triangles were already sewn together. I just assembled. I love that line down the middle. 🙂 I scrounged around and found some blue to make the borders. I then sewed together the other little 4 patches and such. 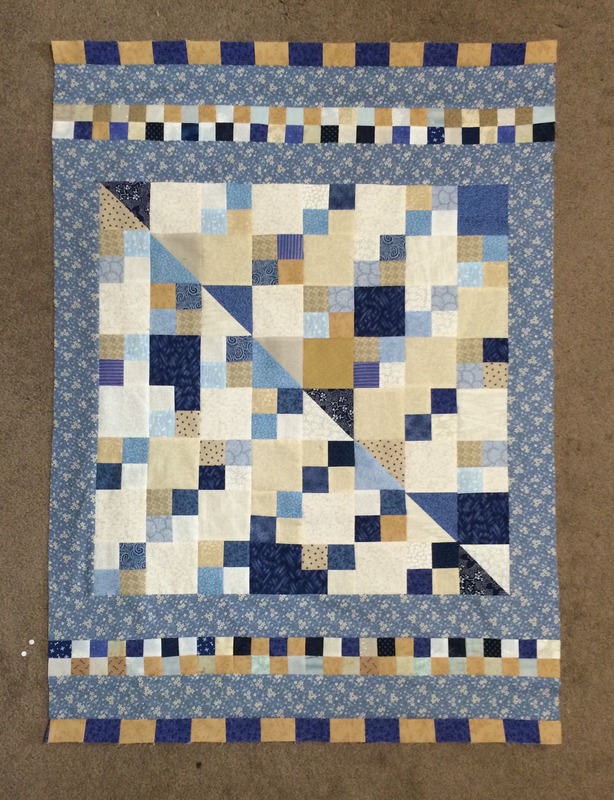 I think it is ready for quilting and then I will add a navy blue border. What do you think? I have a long trip coming up in a couple of weeks. I will be bringing my hexies along for the ride. Hopefully soon it will be warm enough to have the windows open while I quilt. I am quite done with the cold! 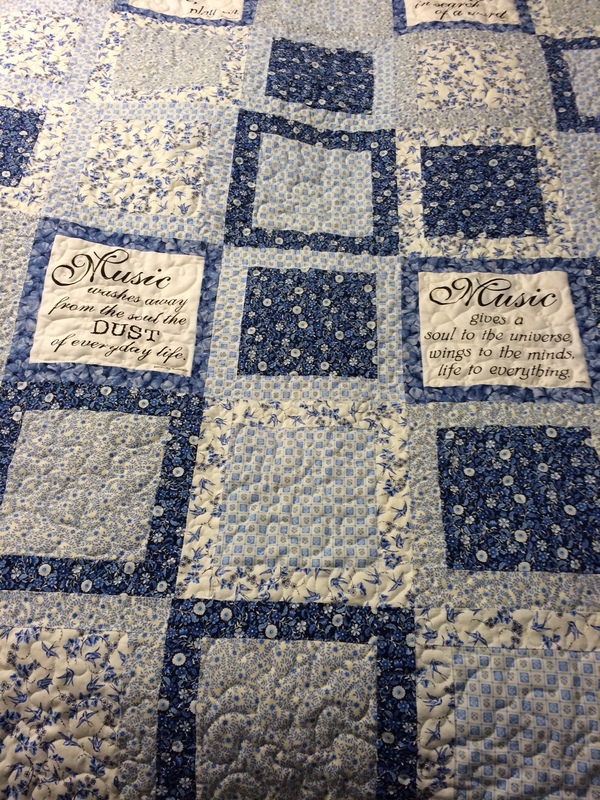 This entry was posted in Crafts, DIY, Fiber Arts, Hobby, Home, Life, Quilt, Quilting and tagged art, Arts, Craft, Crafts, DIY, fabric, Fiber Arts, hobby, home, life, Quilt, quilting, Quilts, Richard Scary, Richard Scary Quilt, Sewing, Textile. Bookmark the permalink. I’m working on my first ever quilt with a friend. Enjoying the process very much!